This week we are going Home Sweet Home which means we want to see a home / house on your project. Having been lucky enough to be out of province for work for a few days last week, I can certainly confirm that while it is super fun to be away for a few days...there is no place like home! You can find all the details on the Shopping Our Stash Blog. Nice clean card, excellent colors! Would be a great new-home card. I do love that Martha fence punch. 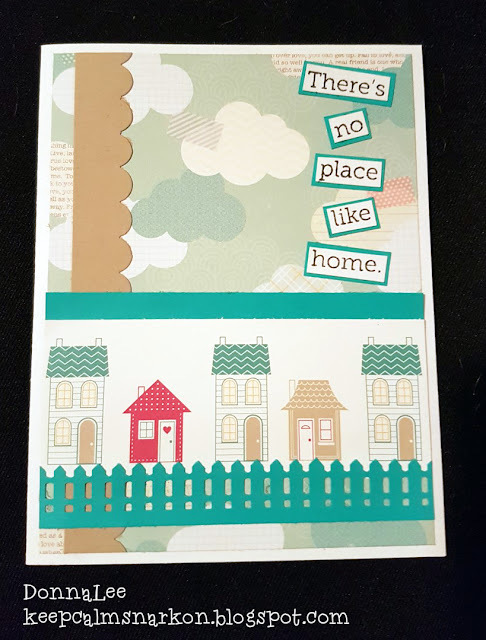 Super cute card, did you paper piece the houses? great job. Great card design too.